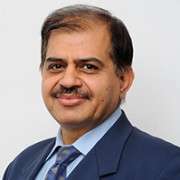 Gajendra is currently President and CHRO, Tata Motors. He joined Tata Motors in 2014, from another Tata Group Company, Tata AutoComp Systems where he was the Group CHRO from 2005 to 2014. At Tata Motors, as part of the Executive Committee, he has actively driven the turnaround agenda with responsibility of various strategic growth initiatives of the company. He has also pioneered various HR practices, seen as trendsetters and industry benchmarks. 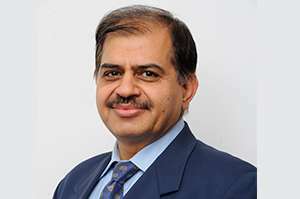 As part of the company’s transformation strategy, he piloted significant restructuring, reorganising & rejuvenation exercise, including building a strong Managerial & Leadership pipeline, among others, all driven towards making the organisation agile and a lean fighting machine to meet the company’s goal of being amongst the top Global players. Previously, he worked with Siemens in India, Germany and USA for almost 13 years where he held various operational & strategic assignments at local, country, international & Global levels including the Global Leadership Framework Project. Gajendra loves photography, hiking & reading.